Traveling to France? This is the suitable spot on the internet to find locations to swim in France. Every day you are not swimming you might be losing precious time to improve your skills a be a much better swimmer! No extra excuses!. Are you on holiday and want to keep fit and healthy? Swimia.com gives you the easy and quickest technique to acquire pool near France. Looking for Salt Water Pools in France? Many of them belong to gyms or sport centers which also present lessons. Not all countries are the exact same, and swimming regulations and rules are changing from one country to another. Please check the nearest Swimming Pools or Contact us to ADD IT. It is free! 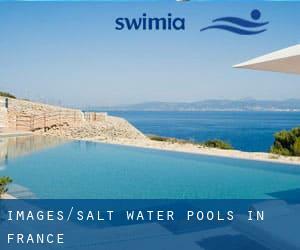 Thanks to some new Salt Water Pools in France submitted every day, Swimia.com is increasing daily the number of stored pools. Please don't hesitate to contact us if you ever come across any inaccurate or incomplete information. Swimming is a excellent idea to help keep your body active throughout your visit to Marseille (France), or perhaps if you are a local. Swimia helps you to find your closest Swimming Pool in Marseille. It's difficult to visit France devoid of dropping by Paris (with 2.138.551 residents). 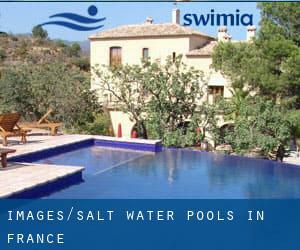 Currently Swimia is showing you all of the Swimming Pool in Paris and the closest pools located in its vicinity. Without a shadow of a doubt, swimming in Toulouse may be the best way to unwind after work. Take a couple of minutes to browse Swimia's catalog to find a Swimming Pool in Toulouse. Boulevard de la mer , Trez Hir , Plougonvelin (Postal Code: 29217). Among all the activities offered by the center, if you are enthusiastic about swimming you will get pleasure from 25 meters x 10 meters, 4 lanes, 1.1 meters - 2 meters depth, 1.1 meters - 2 meters depth, Salt Water, Indoors. If you need to contact this Pool, email address and phone number are both number. Avenue Princess Grace , Roquebrun Cap Martin (Postal Code: 06190). This sports center delivers Olympic size, Salt Water, Outdoors. For this Swimming Pool, only phone number is number here. Avenue de ´lAtlantique , Carnac (Postal Code: 56343). Among all the activities offered by the center, if you are interested in swimming you might appreciate 25 meters, 4 lanes, Salt Water, Indoors. Just in case you want to contact this Pool before dropping by, we only know the phone number. 6 rue de la Bataille , Saint Cast le Guildo (Postal Code: 22380). Among all the activities supplied by the center, if you are interested in swimming you may enjoy 25 meters x 15 meters, 6 lanes, 1 meters - 1.7 meters depth, 1 meters - 1.7 meters depth, Salt Water, Indoors. Just in case you would like to contact this Pool before dropping by, we only know the phone number. Avenue des Coquelicots , Andernos les Bains (Postal Code: 33510). Among all the activities supplied by the center, for anyone who is interested in swimming you will appreciate 25 meters x 10 meters, 4 lanes, Salt Water, Indoors. Just in case you would like to contact this Swimming Pool before dropping by, we only know the phone number.